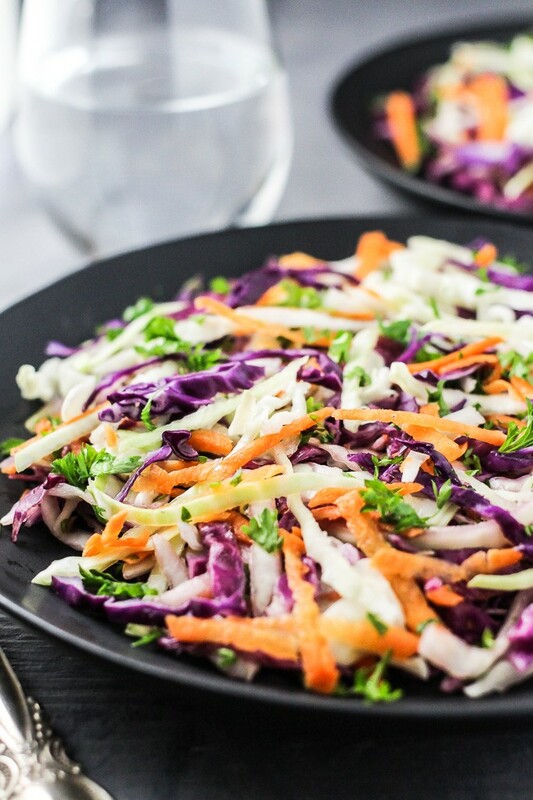 This raw red and green cabbage salad is budget-friendly, easy to make, and super nutritious. 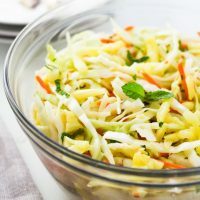 It makes a perfect side-salad for almost any dish. Also, it’s a great salad to make in advance because it keeps very well in the fridge for a couple of days. It can be very challenging to include raw vegetables in our diet. Salads made using only raw vegetables are a perfect solution. 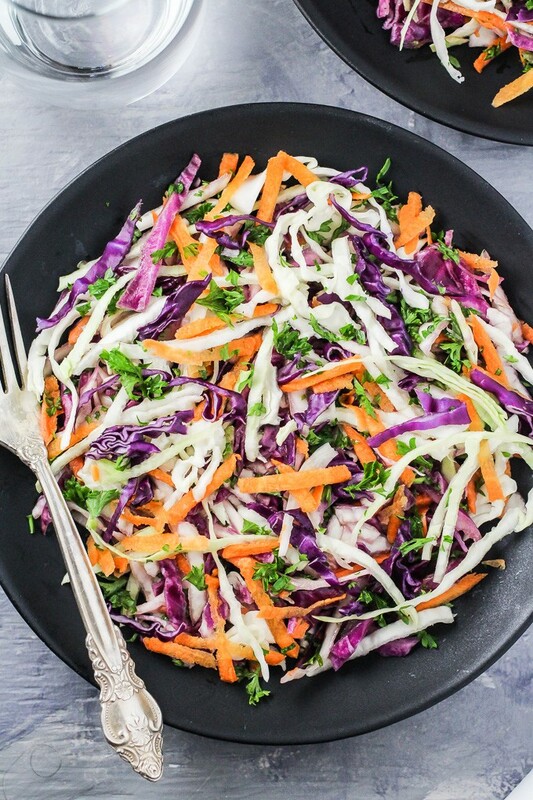 Just make a big batch of this cabbage salad, put it in the fridge and enjoy it at least once or even twice a day. Cabbage is incredibly nutritious and even said to stimulate the immune system and kill bacteria and viruses – an awesome benefit during the flu season. 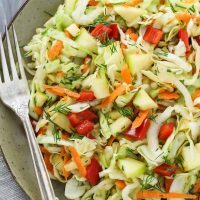 Also, cabbage is very inexpensive – so here we go, a budget friendly nutritious Red and Green Cabbage Salad that can be ready just in a few minutes. And if you have only red or only green cabbage on hand, just use one type of cabbage instead of both. 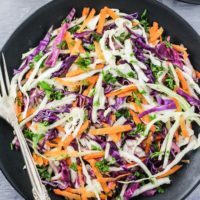 This Red and Green Cabbage Salad is delicious, budget-friendly, nutritious, and very easy to make. 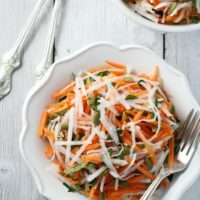 It’s a perfect side salad for almost any meal and keeps well in the fridge for a couple of days. 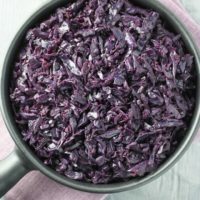 Place the green and red cabbage in a large bowl and sprinkle with sugar. Massage the cabbage with your hands for about 30 seconds to one minute. 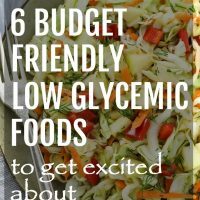 This will help to break down the fibers and make the cabbage easier to chew and digest. Add the carrots, parsley, olive oil, and white vinegar. Season with salt and toss to combine. Refrigerate the salad for at least one hour before serving. 1. 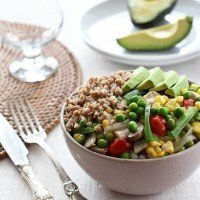 This salad keeps well in the fridge for up to 4 days.